of course, I took literally and believed. the one near my house. But…..
I’ve stood, waiting endlessly, for you to come. I won’t vacate my post; I don’t want to miss you. dehydration turns my bones inside out. Should I give up on you? You just took a wrong turn. You’ll be here soon. 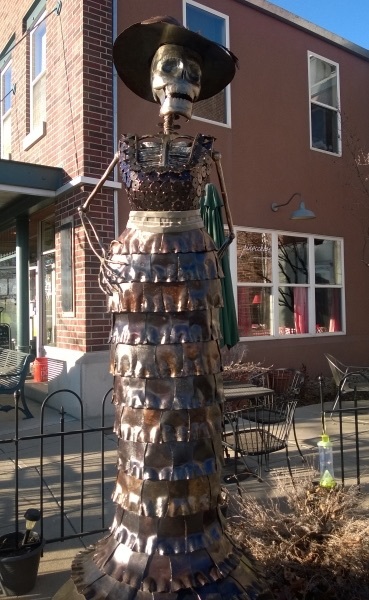 Lafayette, CO has impressive Cultural Arts and annually displays sculptures throughout town. This particular one was begging for this poem!